A member of the Certified Putting Instructor (CPI) Advisory Board, Dr. Debbie Crews who is the Chair of the World Scientific Congress of Golf, probably knows more about the “6 inches between your ears” when it comes to putting than anyone else on the planet. Dr Crews is a Master LPGA professional, having worked extensively to help develop the LPGA Education curriculum and also applies her work with the Golf teams at Arizona State University (ASU) and in her own private practice with leading athletes. “The CPI Course is all inclusive. 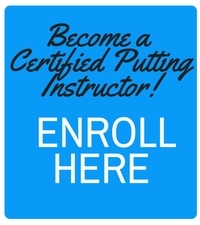 It can be completed in 6-8 hours and is a short, fast and easy way to increase your knowledge of putting and the lessons that you can give. 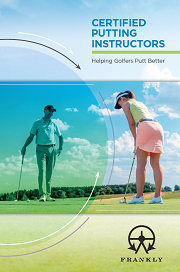 It will help keep instructors on the edge of putting knowledge and it is advanced, scientifically based instruction. Because of this base, nothing can compete with the CPI Course,” said Dr. Crews. A quick glance at her extensive curriculum vitae exposes a lifetime of dedication to the pursuit of golf and science with a focus on researching the psychology related to putting. “I love research. I like to ask the next question, then move onto the next question. I like to help people, using a scientific and research base. I enjoy numbers and science, rather than someone’s ideas or opinion,” said Dr. Crews who is also the founding Editor of the International Journal of Golf Science. So, given her amazing background and more than 30 years of research and practice, what would she identify as the most important aspect in putting? “Critical to successful putting is focus of attention. This dictates motion and is the last thing we have control over before we putt,” said Dr. Crews, who, as the President and CEO of Opti Brain has gone on to develop a headset that helps train focus of attention, the last second before you move. According to her extensive research, this last second is predictive of performance and through practice you can learn the skill to dial it in and dial it out, allowing your subconscious to perform. “Horses mirror human emotions and in the course, the golfer learns to connect with the horse and stay in the present”, said Dr. Crews who herself owns the 6 horses that she uses for the program. Always fascinating to listen too. Dr. Debbie Crews puts it all in words that us non scientists can understand. I attended the horses and courses program. I learned more about myself as a played, teacher, coach, in one afternoon than a life time. My teacher, a horse. Rhona law . Proud LPGA member. Thank you for sharing your story, Rhona. Dr. Debbie Crews is a remarkable person and we are proud that she is a member of our CPI Advisory Board.